February | 2015 | Let their light shine! 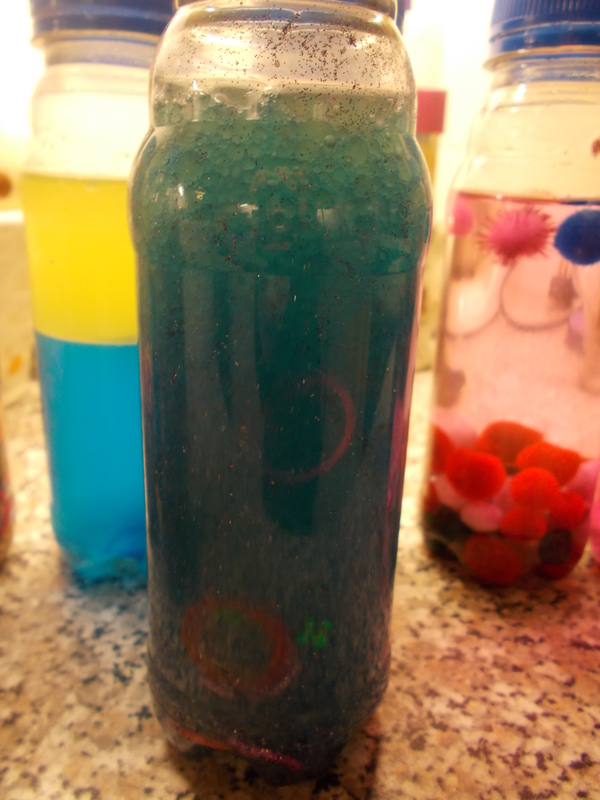 I’ve been thinking about sensory play – what is it? 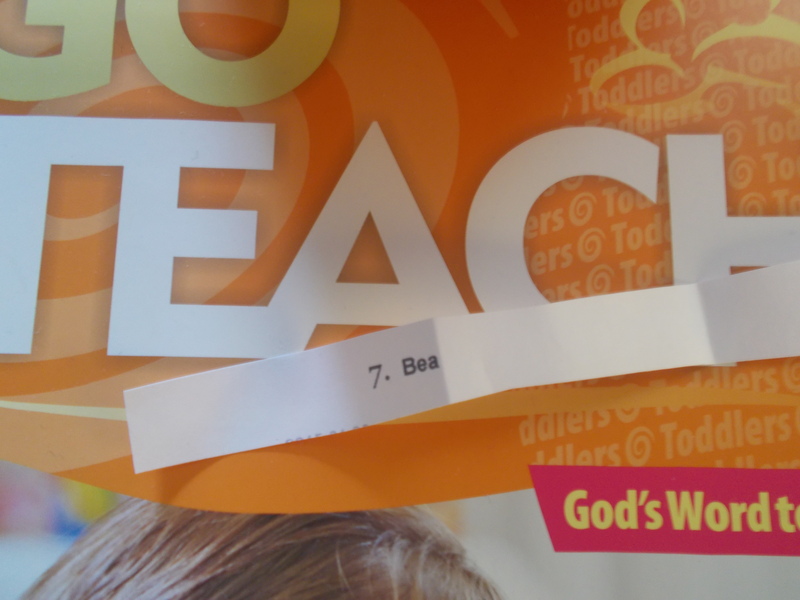 can I introduce it at toddler group? I don’t know about you but I love the idea of children making discoveries by looking and touching. While I was deliberating about where to start I got to thinking about my own childhood. What sort of sensory play did I experience all those years ago – before anyone called it sensory play. I think it’s fair to say that as a toddler I had a fair amount of time at home and a lot less toys than my own children grew up with. So my mum improvised. I remember being allowed to play with the button box. It was a actually an old biscuit tin full of buttons – different colours, textures, sizes. Sensory play. Today it has a name and is maybe organised with more intent – my mum probably gave me the button box to play with because it kept me busy while she got on with the ironing. So, sensory play at toddler group. Where to begin? We won’t be using buttons as children can easily choke on them. We don’t have sand or water play as there isn’t the space (although in the painting area washing hands is almost like water play sometimes). But, we can have sensory bottles. They are a good place to start. 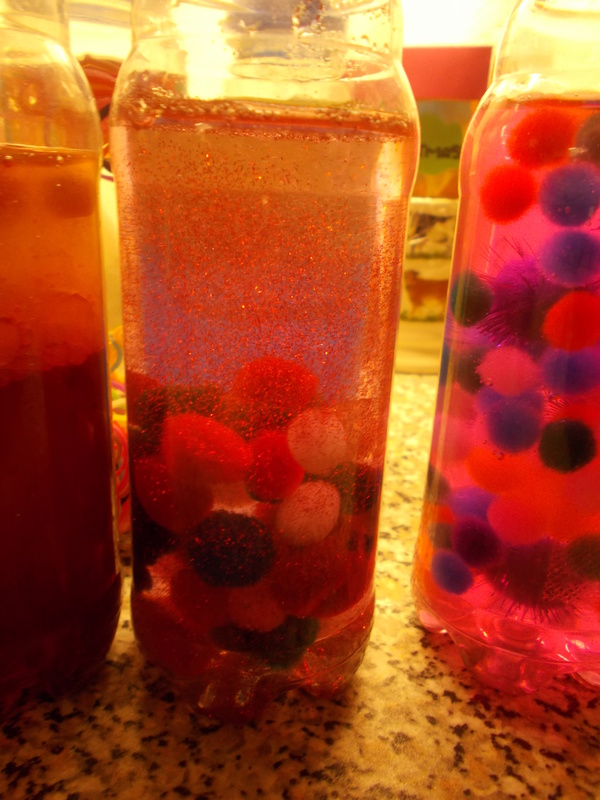 I had a lovely time pottering about Pinterest for ideas and these bottles were the result. 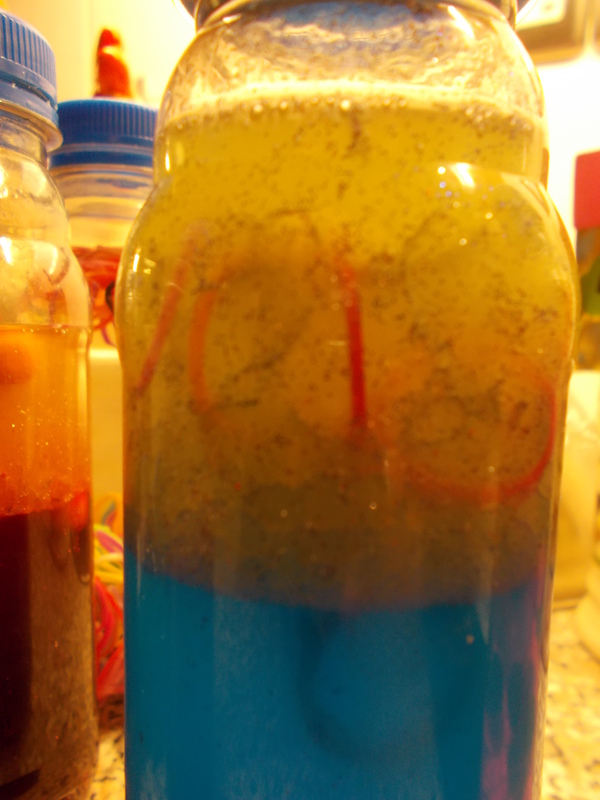 I used small Oasis bottles. 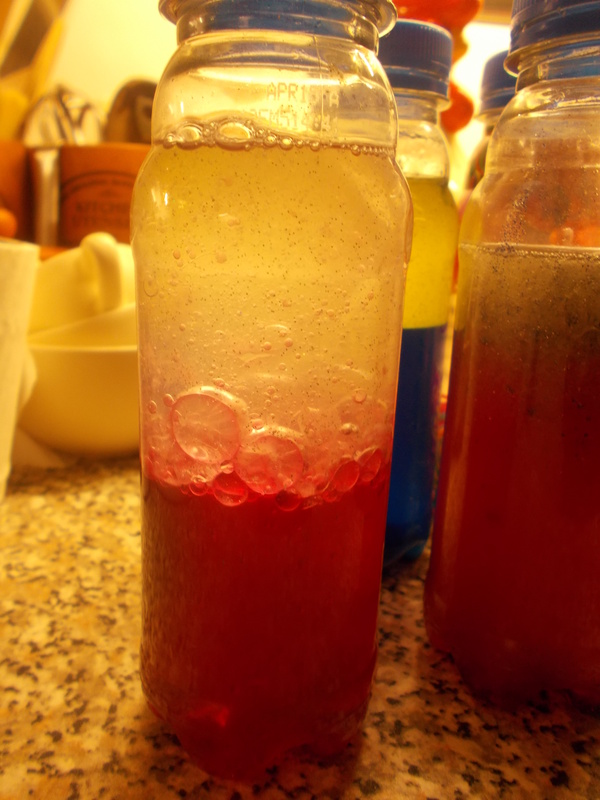 Most were filled with coloured water to about half way and then oil – the yellow oil is vegetable oil and the whiter oil is baby oil. 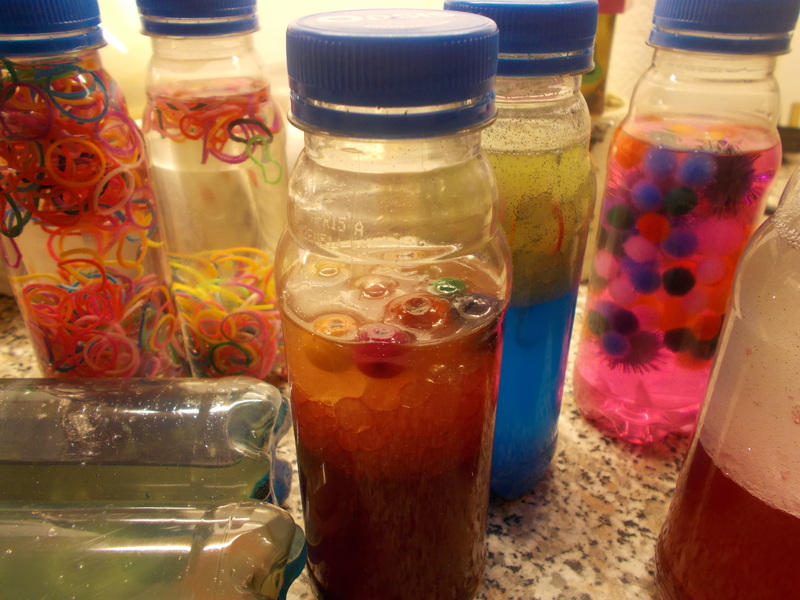 Then I added glitter and bits and bobs – beads, loom bands, pompoms, sequins. 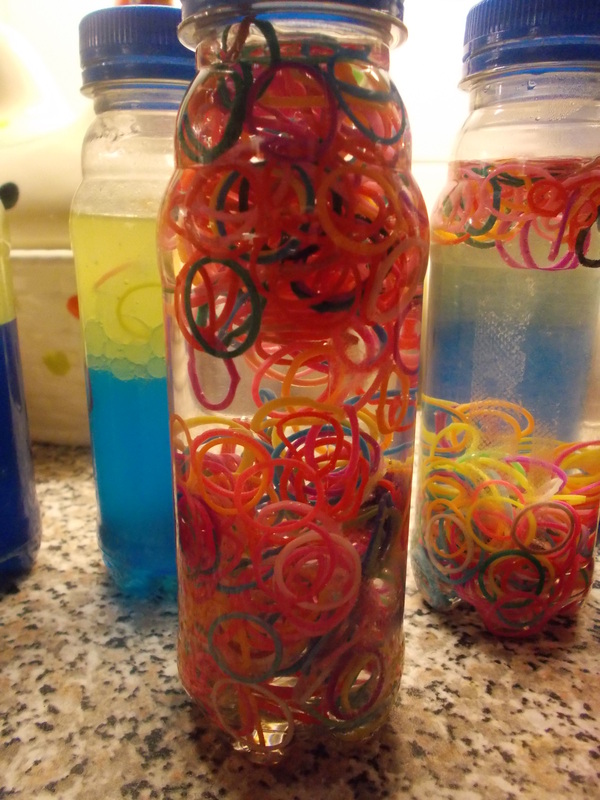 Two bottles are plain water and lots of loom bands. To secure the lids I used super glue. 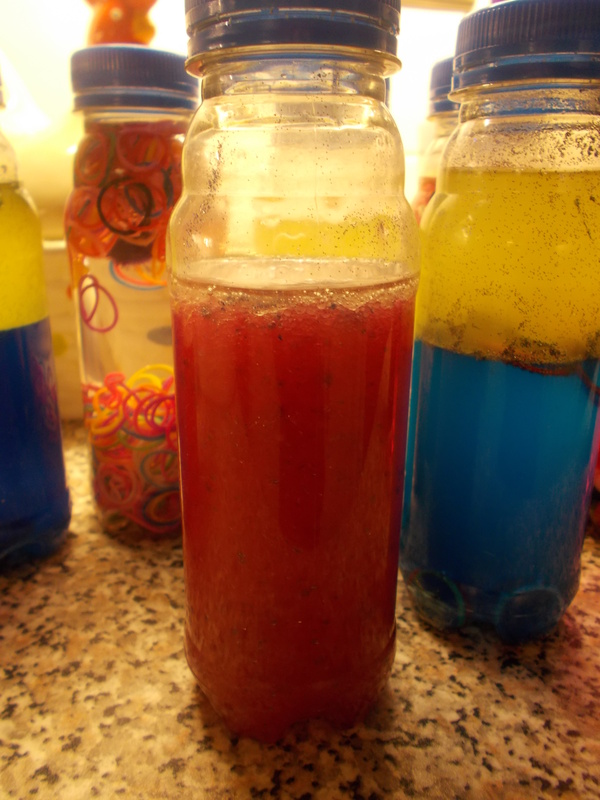 Thses bottles were a big hit at toddler group – with both children and adults. 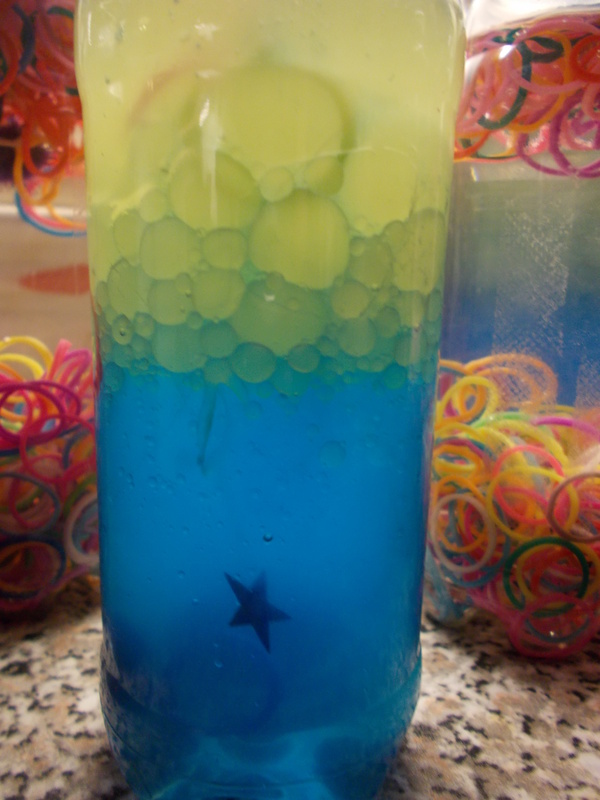 Lots to see, lots to talk about and wonder about as you watch the bubbles and colours. I love this painting by Wassily Kandinsky. Lovely colours. the idea of using a painting as the inspiration for a craft really appeals to me – it’s a great way of introducing children to art. 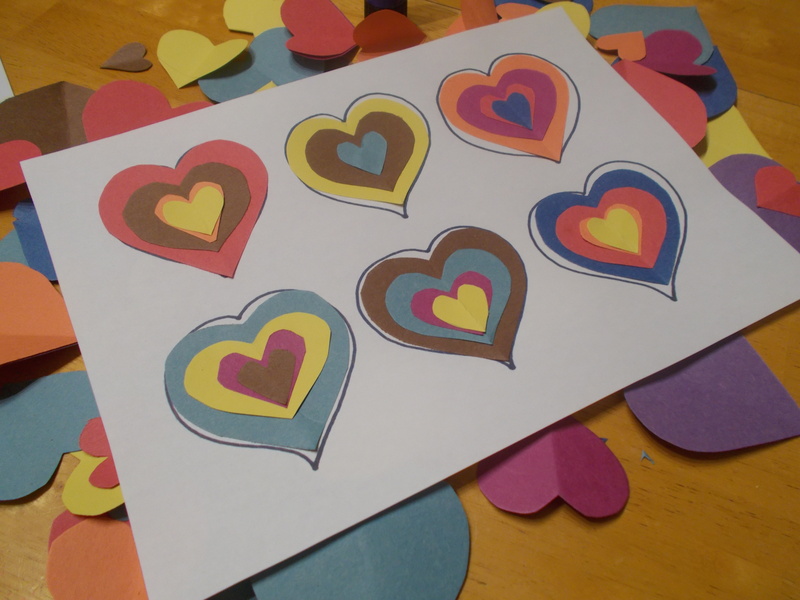 So for Valentines Day we will be doing our own version – not quite so colourful and of couse no circles – just hearts. 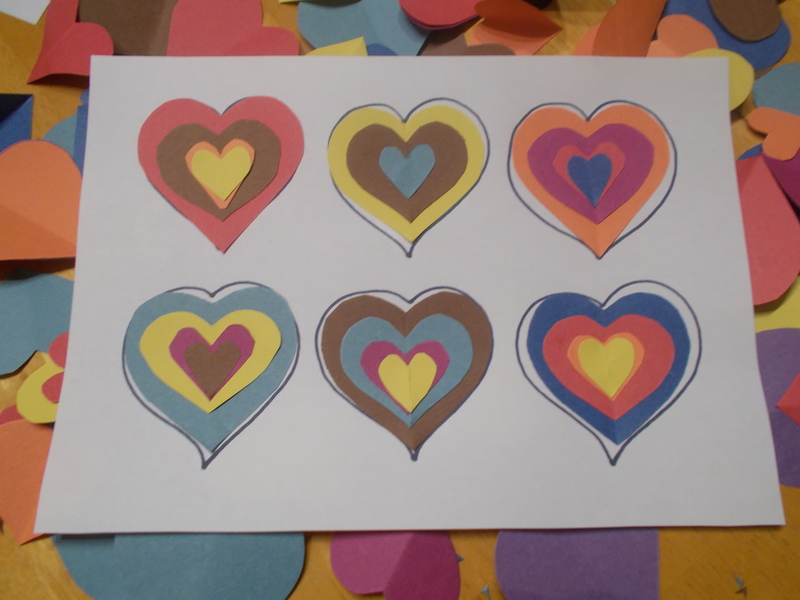 I will be giving each child an A4 page with hearts already printed on – just as a guide. 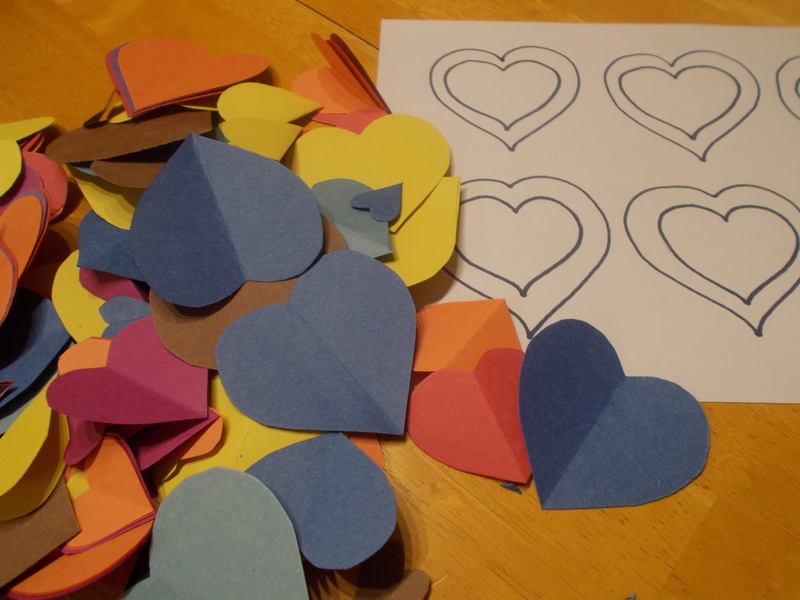 There will be lots of different coloured hearts all various shapes. I use construction paper available here. It’s just the right weight and easy to cut. Great colours too! 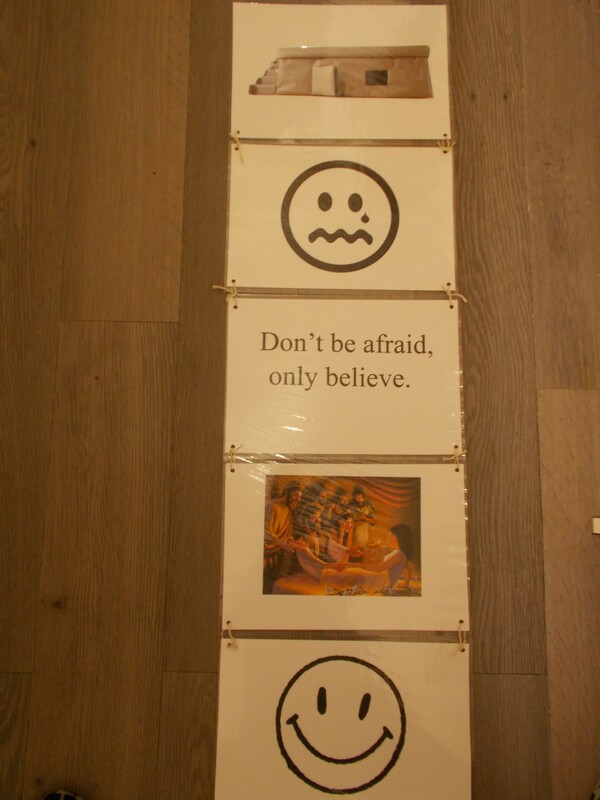 This is my version – the children will have their own ideas which is always good. There are lots of learning opportunities here – fine motor skill practice, naming and recognising colours, learning about shapes and sizes. 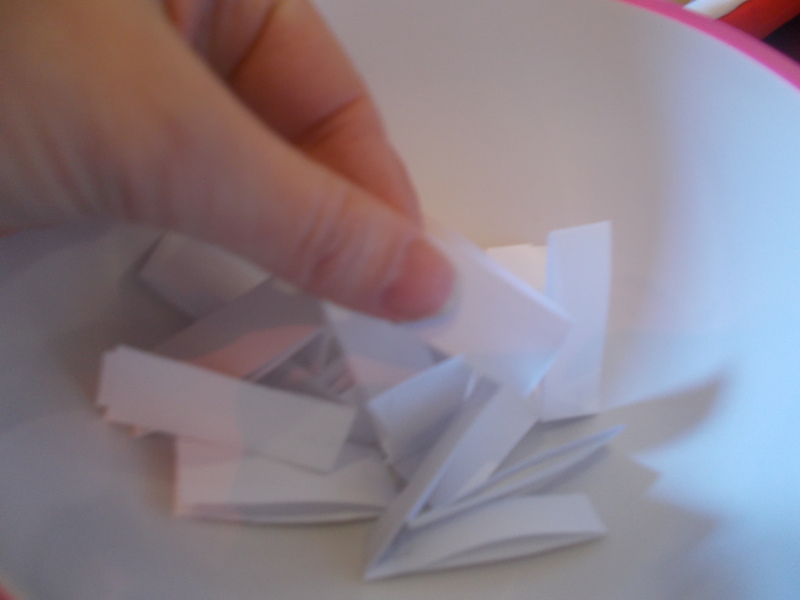 Who’s in the story bag? 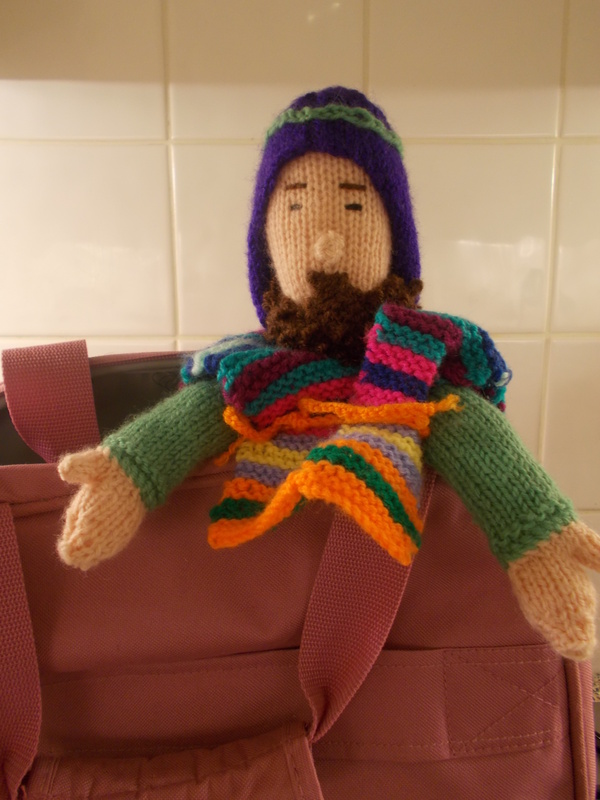 I like to use a story bag at toddler group story time. I find it holds the interest of the children and adults better than a picture. 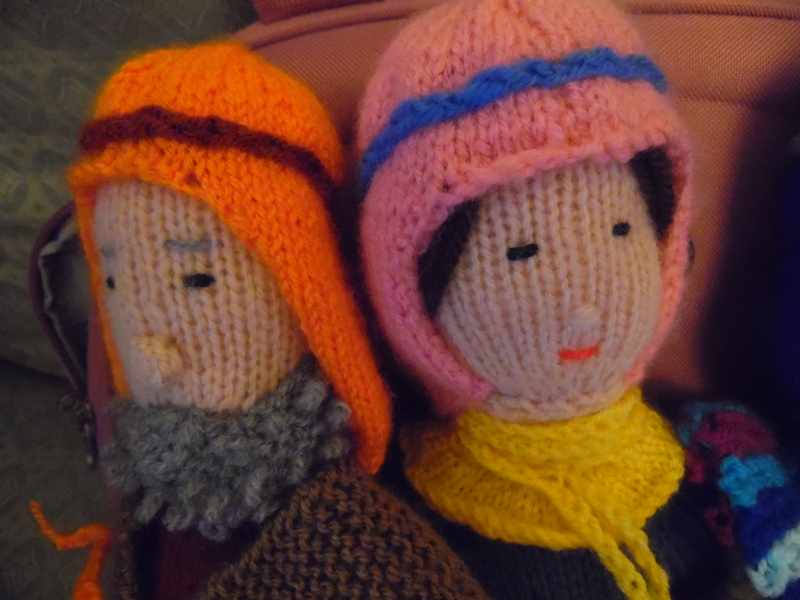 My mum is a great knitter and made some Bible characters for me. If you are able to have a go at making some then the pattern is here. They are a good size and can be adapted by adding different clothes. A lovely reader of this blog asked about the pattern so as well as replying in the comments I thought I would share the info here too. 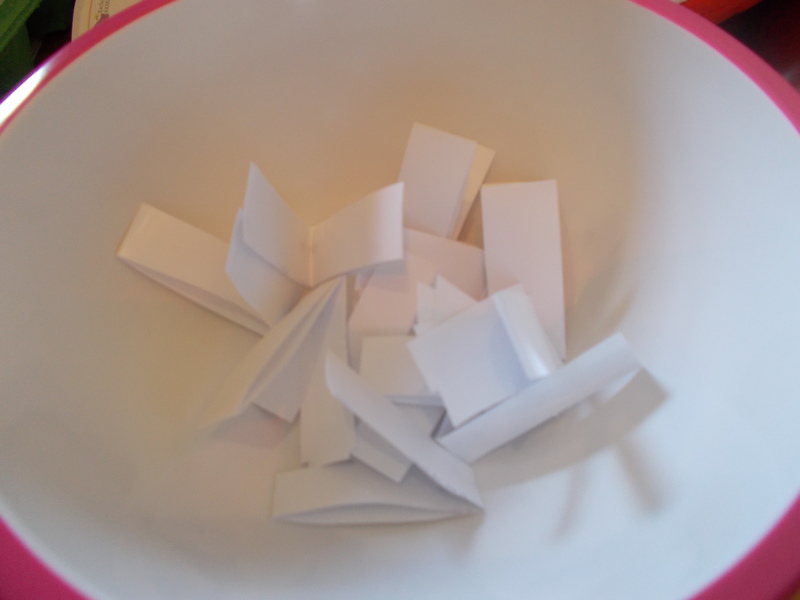 A big thank you to those of you who entered the giveaway. I will do another one in a few months time :). 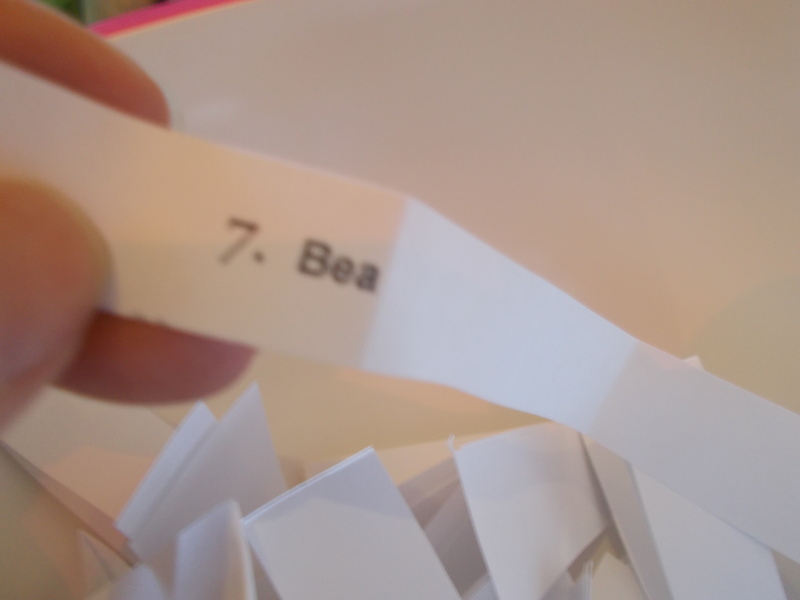 Bea – congratulations! I have sent you an email so I can post this off to you at your address. I hope you find it useful.